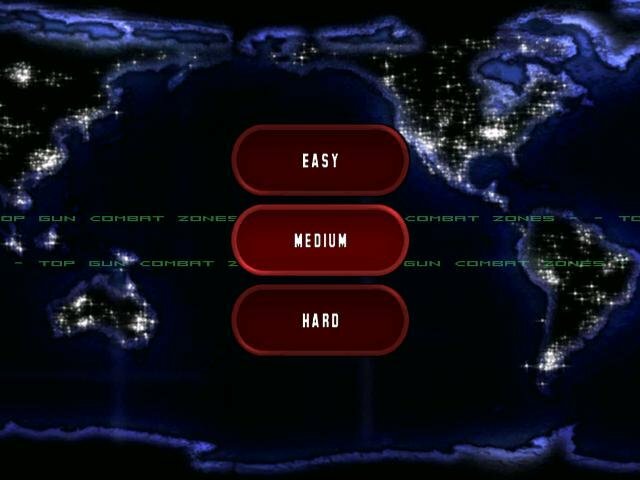 Developer Titus has been around for some time – since the early era of 80s computer gaming, in fact. 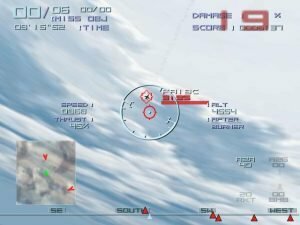 Digital Integration is an equally respectable developer that had previously sunk its teeth into serious flight simulators. 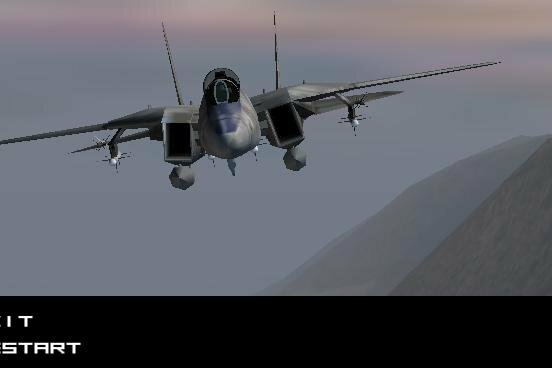 The excellent F/A-18E Super Hornet and Gunship 2000 were both released under their banner. 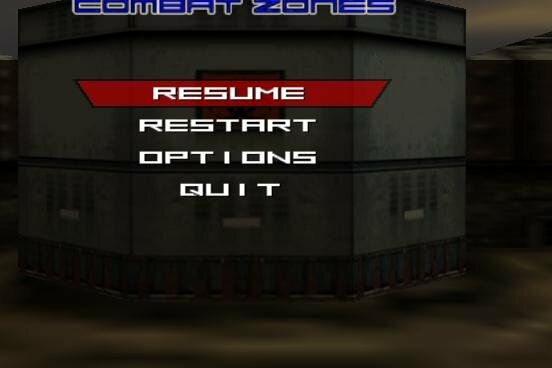 It could be due to the age and respectability of these two companies that one feels somewhat cheated by the simple-minded and decidedly arcadey Top Gun: Combat Zone, a game that is squarely placed in the shoot ’em up realm. One has to wonder what was the point of throwing any money towards acquiring the Top Gun license here. 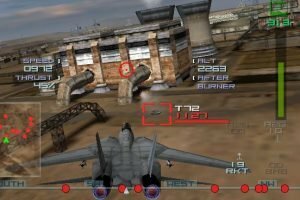 There’s no Tom Cruise or 80s music anywhere, though you can fly the iconic F-14A Tomcat, as well as a few other jet fighters (such as the Falcon), but which you must unlock in the grinding campaign game. 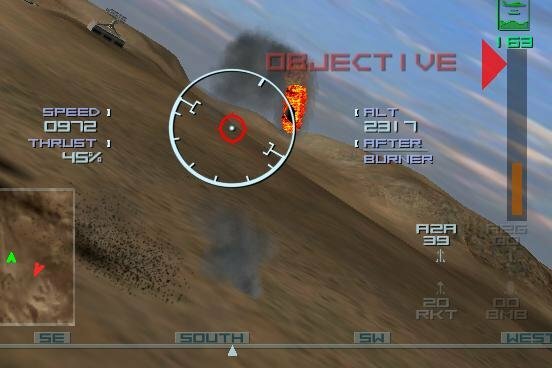 All of the missions are linear and involve simple objectives – destroy these ground targets or those air targets. 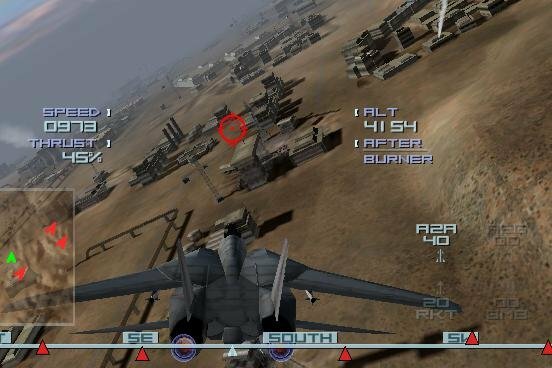 You teleport immediately in the target area and engage in dogfights within the first five seconds of starting a mission, always alone and with limited resources. 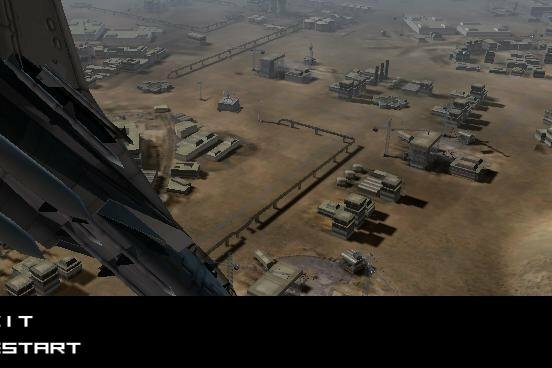 The flight mechanics are as simple as you can imagine. 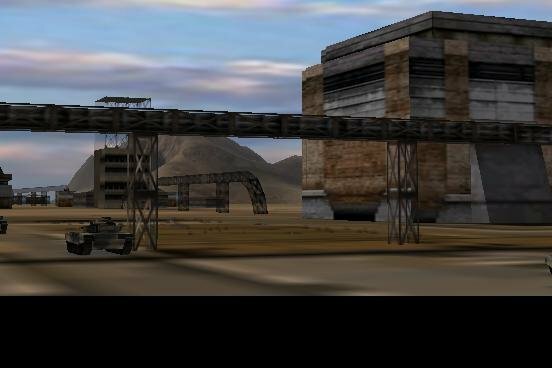 If Doom had your main character permanently run everywhere, and you could control the speed by either making him walk or sprint, then you have a fairly clear picture of the ‘strategy’ involved in Top Gun. It’s the movie Speed set in the sky, with the addition of a shooting gallery. 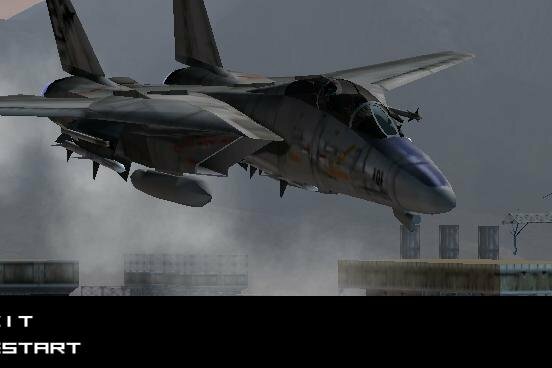 You can set your thrust from 0% to 50% and 100%, and your plane changes the speed almost immediately. There’s no stalling at low speeds or violent breakups at insane speeds. An invisible barrier prevents your plane from merrily flying all the way to the Moon. 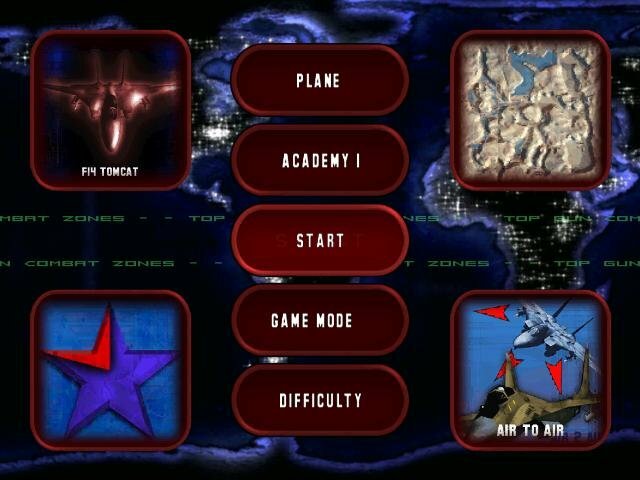 You have a selection of missiles and a nose gun, but here too you will be hard pressed to find any real strategy. 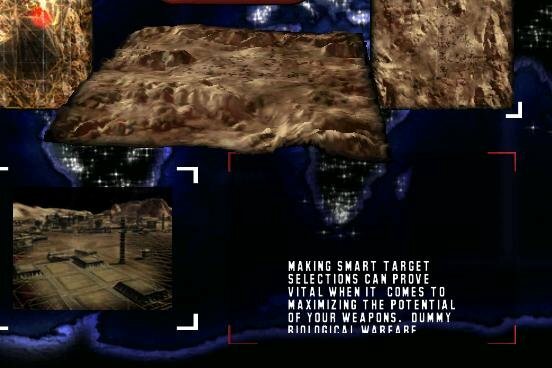 Targeting is done automatically and a map lists everything that is worthy of being blown up in your vicinity. 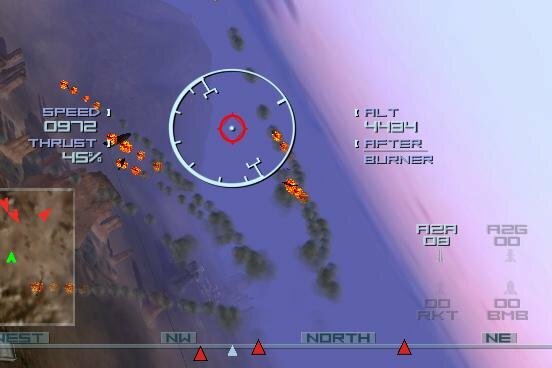 After that it’s just a matter of putting some distance between you and your target. 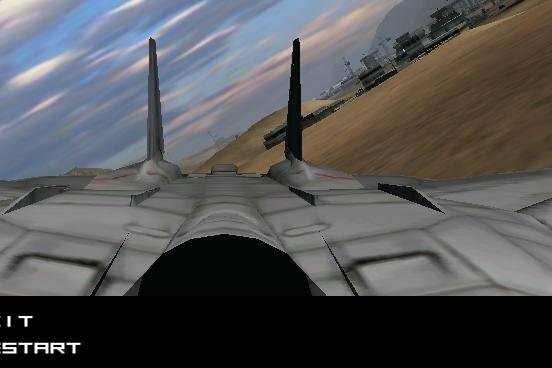 There are several external and one internal camera angles, although Top Gun likes to default to the behind-the-shoulder view. The graphics are cool though, especially a sweet replay function. 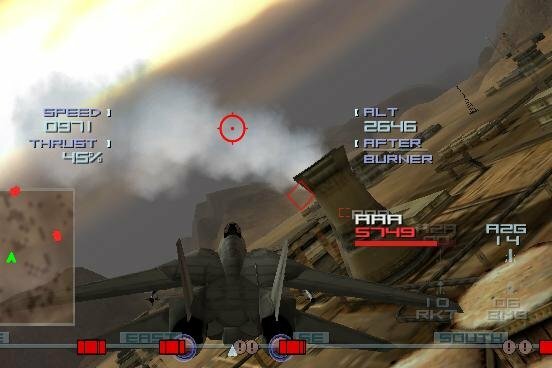 But lens flares will never be able to save this game from oblivion.